Pro users can customize most of these keyboard shortcuts. To start, go to "Settings" - "Keymap". Click on the shortcut you want to customize and press the new key combination you prefer. And that’s it! The new shortcut will take effect right away; no page refresh is needed. To reset a shortcut to default, click on the icon on the right side of the shortcut. This is also an indicator that this shortcut has been overridden. 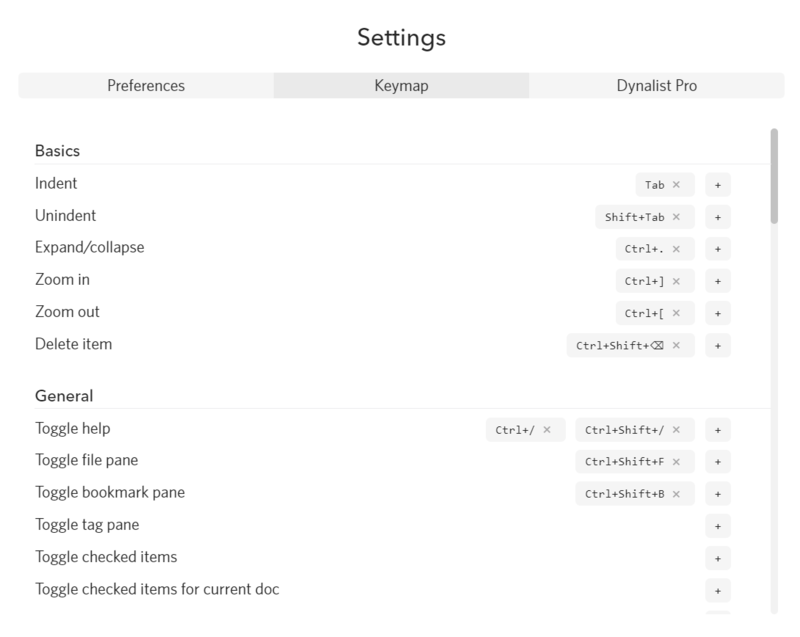 After you customize a shortcut, the shortcut help panel will be updated, as well as their appearance in context menus and tooltips. For the new shortcuts you set, you must use at least one modifier key from Ctrl, Shift, and Alt. The key combination you choose must not conflict with existing ones. Note that the browser won’t let you override certain shortcuts like Ctrl+N and Ctrl+T, which you don’t want to override in most cases anyway.